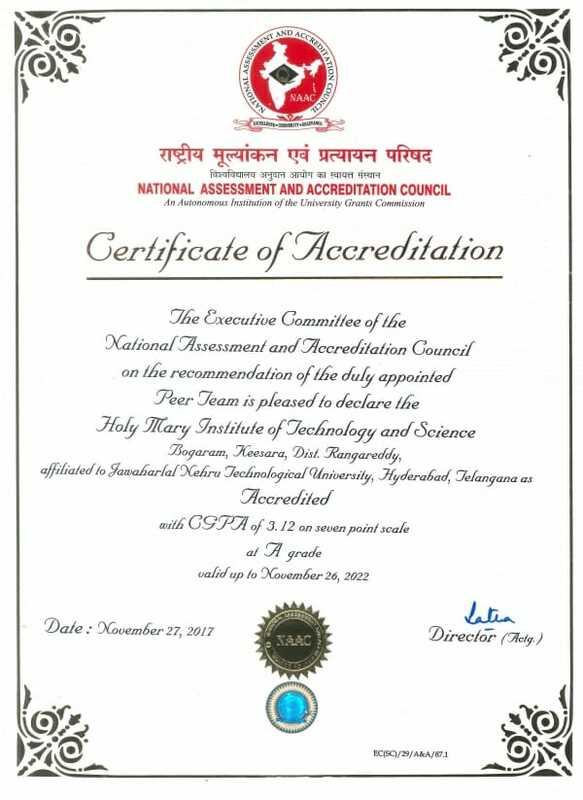 Holy Mary institute of technology science is accredited by NAAC- National Assessment and Accreditation Council. We are under the progress of obtaining NBA accreditation and further moving on to be an autonomous institution. 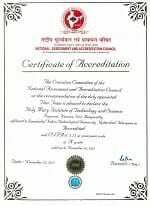 Holy Mary institute of Technology and Science is accredited by NAAC with grade B. The NATIONAL ASSESSMENT AND ACCREDITATION COUNCIL (NAAC) is an autonomous body established by the University Grants Commission (UGC) of India to assess and accredit institutions of higher education in the country.